Actually, the key word in this sentence is “inalienable,” and everyone should read the excellent article by Kyle Roberts on what this word really means. Liberty and freedom are similar, but they are slightly distinct, and understanding them both is essential in a society that is losing its freedoms. As for “liberty,” I define it as “the right to do whatever a person wants as long as it doesn’t violate the inalienable rights of anyone else.” Of course, in order to exercise liberty, a person needs to know what inalienable rights are—otherwise, he won’t know whether or not he is violating them. Thus knowledge and wisdom are required to maintain one’s liberty, because a person who violates somebody else’s inalienable rights naturally forfeits his own liberty. The extent of this forfeiture is equivalent to the depth of the violation—when this is applied well, it is called justice. License, as opposed to liberty, is defined as “the prerogative to do whatever a person wants or is able to do.” Note that this has often been used in history as an excuse to plunder, force or otherwise violate the rights of others. Thus license and tyranny are nearly always connected—the tyrant is tyrannical precisely because he takes license as he wills, and the person who pursues license eventually exerts tyranny of some kind. Sometimes people pick one of the inalienable rights and use it to define “liberty,” such as: “Liberty is the right to do whatever a person wants as long as it doesn’t violate the property of another. Or … the life of another, etc. The problem with this type of definition is that though it is often accurate, it is also too limited. The violation of any inalienable right takes away one’s liberty. Liberty: The right to do whatever a person wants as long as it doesn’t violate the inalienable rights of anyone else. Freedom: A societal arrangement that guarantees the right of each person to do whatever he/she wants as long as it doesn’t violate the inalienable rights of anyone else. “Liberty” comes from the Latin root liber though the French liberte, meaning “free will, freedom to do as one chooses … absence of restraint” (Online Etymology Dictionary). In contrast, the word “freedom” was rooted in the Old English freodom, which meant “state of free will; charter, emancipation, deliverance” (ibid). Thus liberty could exist with or also without government, but freedom was usually a widespread societal system that required some authority to maintain it. In most eras of history, the goal is liberty, but it is almost never maintained without freedom. In other words, it is possible to have liberty without freedom, but in such cases it seldom lasts very long and it is usually only enjoyed by a limited few. When freedom is present, however, liberty exists for all who don’t violate the inalienable rights of others. This trip down memory lane has an important current application. A lot of people want liberty; in fact, nearly everyone desires liberty. But the only duty of liberty is to honor the inalienable rights of everyone else, and as a result liberty without freedom is fleeting. In contrast, freedom requires many more duties, and therefore it musters much more from its people. It only succeeds when the large majority of people in a society voluntarily fulfill many duties that keep the whole civilization free. To repeat: those who stand for freedom must honor the inalienable rights of all, and they must also take responsibility for standing up and helping ensure that society succeeds. No truly free government directs this free and voluntary behavior, but without it freedom decreases. For example, one of the duties of those who support freedom is free enterprise—to take action that improves the society and makes it better. No government should penalize a person who does not do this (such penalties would reduce freedom), but overall freedom will decrease if a person has the potential to take great enterprises that improve the world, but doesn’t. Thus freedom is very demanding. If people don’t voluntarily do good things, and great things, freedom declines. If they don’t exert their will and take risks to improve the world, freedom stagnates and decreases. Another way that people voluntarily increase freedom is by choosing morality. In societies where a lot of the people don’t choose a moral life, liberty may be maintained by some people but the freedom of all people eventually declines. When more people choose the path of virtuous living, freedom grows. The same is true of charity and service. When more people choose it, freedom increases. There are a number of other ways people can voluntarily take actions that have a direct and positive impact on freedom. In the freest societies, a lot of the people choose to engage in many such behaviors. When we pledge allegiance to the flag, we do so to promote “…liberty and justice for all.” This is the role of government—liberty and justice, or in other words the protection of inalienable rights and the providing of recompense if such rights are violated. But while in free nations government is limited to this role, the people in a free society must do much more. If they all do their best, fully living up to their potential, freedom greatly increases. Peter Gray’s book Free to Learn is an excellent addition to the genre of books on restoring freedom in education. So why did we create schools that so directly “interfere with the children’s natural way of learning”? Gray shows that in tribal cultures the focus of childhood was playing and learning knowledge, skills, and how to live self-sufficiently and honorably. When the agrarian revolution increased the need for child labor on farms, the values of school turned to toil, competition and status. While Gray’s view of this is perhaps a bit idyllic, the reality is that modern schools are less concerned with student knowledge, skills, honor or abilities than with the universal goal of job training. Certainly job training has an important place in advanced society, but Gray is focused on the education of children, and in fact the toll on children in our modern job-obsessed schools is very high. They are way more stressed than earlier generations of children and youth. Why are we raising a generation of children and youth who are stressed, not secure? 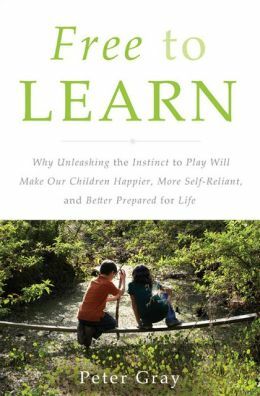 Gray’s answer, based on a great deal of research which he outlines in the book, is that we have turned learning into a chore, a task, a labor, rather than the natural result of curiosity, interest, passion to learn, and self-driven seeking of knowledge and skills. In short, we’ve taken too much play out of childhood and too much freedom out of learning. The results are a major decline of American education in the last four decades. The solution is to put freedom back into education. Interestingly, Gray suggests that in many of the educational studies of classrooms, schools, homes and teachers that have found a way to successfully overcome these problems and achieve much better educational results, one of the key ingredients is “free age-mixing.” Where students are allowed to freely mix with other students of various ages, without grade levels, the capacity of individuals to effectively self-educate is much higher. As for the impact on college and career success, students from free educational models excel. This is a good book, and a must read for those who really care about education. I don’t agree with everything the author teaches, but I learned something important on almost every page. Whether or not you read Free to Learn, all of us who have children or work in education need to do more to promote the importance of increased freedom in education. Gray is a particular fan of “unschooling,” a type of homeschooling and private schooling where parents and teachers set an example of great education, create an environment of excellent learning, and let the kids become self-learners. While this may not be the ideal learning style for every student, it is the best model for a lot of them–and for nearly every young person under age 12. If you disagree with this conclusion, you simply must read the book. The research is impeccable. If you do agree, the book can help you get to work setting a better example for any students in your life. Specific information on each event follows – scroll down for details. As of this email send, the Rancho Cucamonga event currently has less than 20 seats available; so if you’ve been holding back or have a friend or family member you want to have attend with you, please secure your registration today. We have people flying and driving from quite a distance for these seminars, so please don’t assume you’ll be able to show up and be accommodated. We would be so disappointed if there wasn’t room for you! Because of our demanding travel schedule during the week prior we will be unavailable for last minute issues, and are therefore are urging early registration for the South Jordan event. 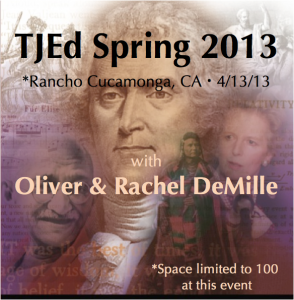 To incentivize this, $75 seminar cost will be raised to $95 for those registering on Tuesday, April 16th and thereafter. 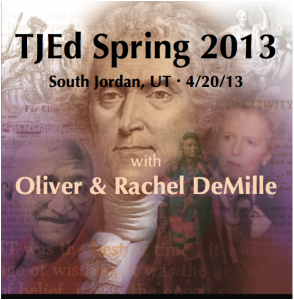 Please share this opportunity, and the early bird deadline, with your TJEd friends and groups, as well as those interested in learning more about Leadership Education. 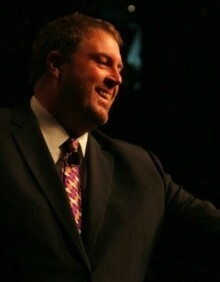 Additional speaking and book signing events for the LeaderShift publication tour are listed here. The 7 Keys of Great Teaching are the crux of great education. When they are effectively applied in any home, school or other educational setting, learning drastically increases. The 8th Key (Security, not Stress) teaches that the happiest, most effective teachers and parents approach teaching with a relaxed, enjoyable attitude when they are well versed in and fully understand the principles they are teaching; and that this helps students really internalize the critical lesson that learning is fun and doesn’t require overwhelming stress to accomplish. In this brand new seminar by Oliver and Rachel DeMille, learn the 9th Key of Great Teaching, a key that will take all your learning, teaching and parenting to a whole new level! In this exciting event you’ll learn how to improve mentoring, and you’ll learn how to inspire your students with a whole new technique that makes all the difference. The 9th Key is revolutionary and powerful. Don’t miss this opportunity to learn it, how to apply it effectively, and how to get started right away. Whether you are a veteran or newcomer to TJEd, or anywhere in between, this seminar will help you drastically improve your education and that of everyone you mentor! 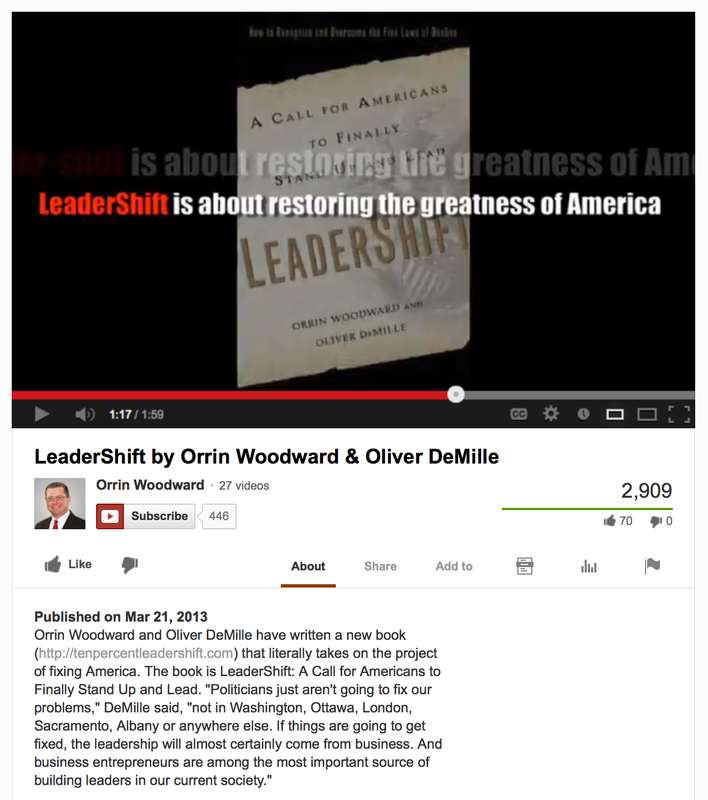 Oliver’s new book with Orrin Woodward, LeaderShift, is debuting in on April 16, 2013! Click the image below to see a trailer – and please like, comment and share. A LeaderShift is coming. Are you ready? 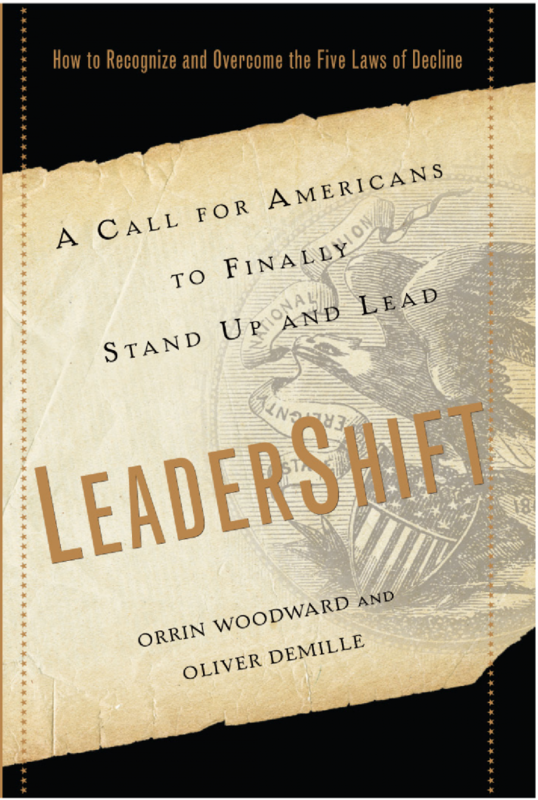 P lease join us in celebrating Oliver DeMille’s latest work, co-authored with best-selling author and business guru Orrin Woodward — the soon-to-be released book, LeaderShift: A Call for Americans to Finally Stand Up and Lead, with an on-sale date of April 16, 2013. This action-packed business fable is the culmination of Orrin and Oliver’s combined expertise and will offer every North American a deeper understanding of the Five Laws of Decline and how the respective effects are becoming increasingly evident in the United States. LeaderShift will explain this devastating phenomenon in detail, motivate readers to take immediate and precise action and, most importantly, offer guidance on how each individual can contribute to not only stopping, but reversing this crippling trend. Orrin and Oliver are proud to have LeaderShift published by the prestigious Hachette Book Group (second largest book publishing company in the world) and will hit the mainstream under the Business Plus imprint of one of the country’s most elite book publishing groups. In 2011, Hachette Book Group had a record 182 print books and 62 eBooks on the New York Times bestseller list, 45 of which reached #1. At the time of this posting, LeaderShift is already rated #38 on Amazon’s sales ranking for Business Leadership titles, and #25 on Barnes and Noble.